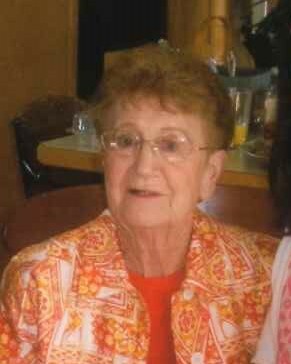 Martha Methvin, 93, of Sylvania passed away on Thursday, October 4, 2018 at Genacross Wolf Creek while under hospice care. Martha was born on April 3, 1925 in Pulaski, TN to Buford and Margaret Holley. She married the love of her life, Avis Methvin, on February 9, 1946. They spent 64 years together until Avis’s death in 2010. Together they most enjoyed taking care of their property in Michigan while growing a very large garden each year, the fruits of which they shared with their relatives and friends. Martha worked for White Tower Restaurant, retiring after 17 years. Post Avis’s retirement in 1986, they walked daily at the mall where they made some life long friends. After Avis’s death, Martha continued to walk at the mall, then enjoying breakfast with her friends. Martha’s light of her life were her grandchildren and great grandchildren. Martha loved sports, especially watching her grandchildren and great grandchildren compete. We could always depend on Grandma to have fresh baked chocolate chip cookies. Martha is survived by her daughter, Linda (Jack) Seitz; daughter in law, Debi Methvin; grandchildren, John (Brenda) Seitz, Mike (Lona) Seitz, Craig and Rachel Methvin; great grandchildren, Jillian, Lauren, Nick, and Lindsay Seitz and Macy Turner; brother in law, Al Melvin. She was preceded in death by her parents; husband; son, Tom; sisters, Mary and Virginia; and brother, Dorvel. We will all miss having Martha at our sporting events and her chocolate chips cookies. Her love will be missed by all.